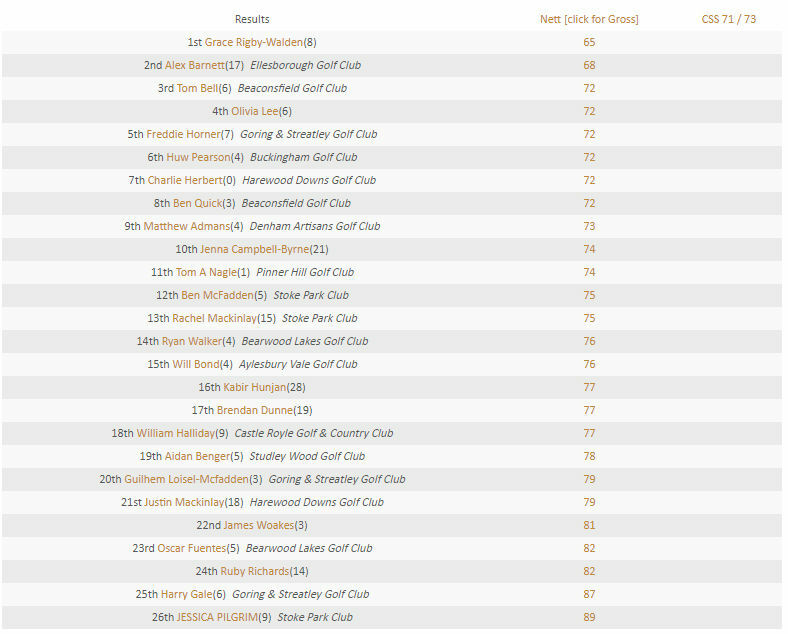 Gerrards Cross Under 21 Open Results 2018 :: Gerrards Cross Golf Club is considered one of the most attractive courses in South Buckinghamshire. As the weather forecast for the event was very hot, the club after referral to England Golf and the BB&O reduced the competition from 36 holes to 18 holes. 26 brave youngsters took on the task in hand. 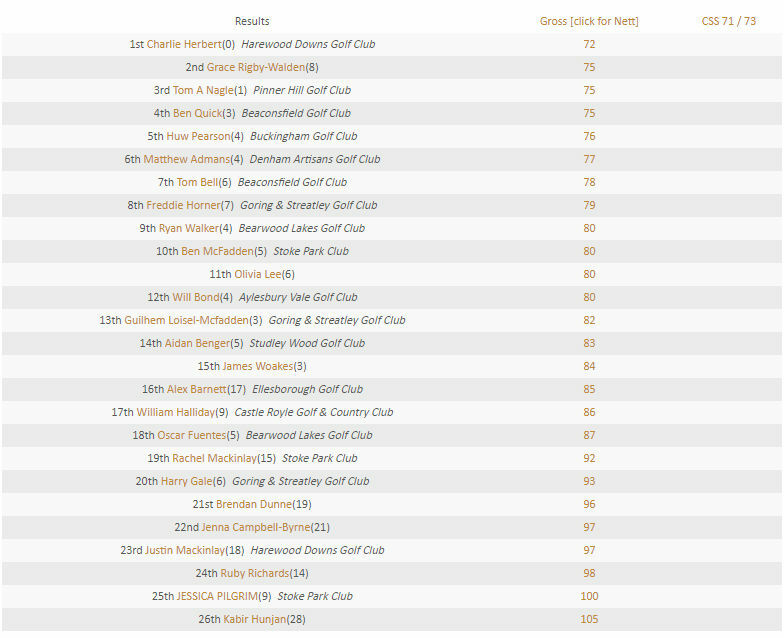 Prizewinners are listed below, full results (gross and nett )appear further down the page. 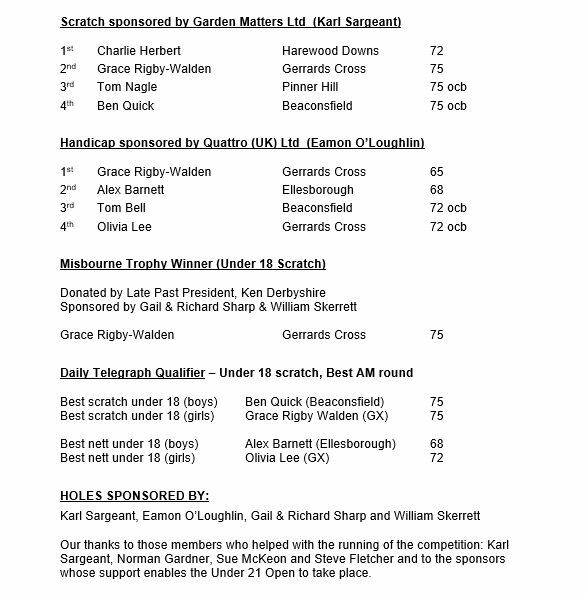 Congratulations to Charlie Herbert from Harewood Downs for back to back wins in the Scratch category. His gross 72 in 2018 exactly matches his score for the 2017 event. 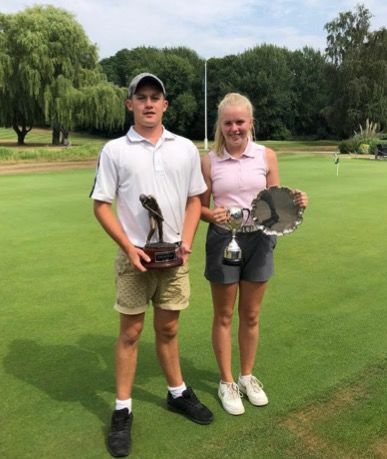 Double success for Grace Rigby-Walden from Gerrards Cross for winning the Handicap trophy with an impressive card of 65 nett and the Under 18 Scratch trophy with a gross 75 . Well done Grace. The club would like to thank home and visiting players for taking part, it looks forward to your participation again next year. For security reasons analysis from the gold links is inactive in the public domain, full analysis is only available on pages in the secure members' area. Players listed with no home club are all members of Gerrards Cross.